Who was I before this experience? Before losing Owen, I took a lot of delight in the everyday stuff, and I liked to quest for adventure. Even though life was busy, I did a pretty good job at taking a breath and enjoying the present moment wherever I was. I tried to find the wonder in things around me. 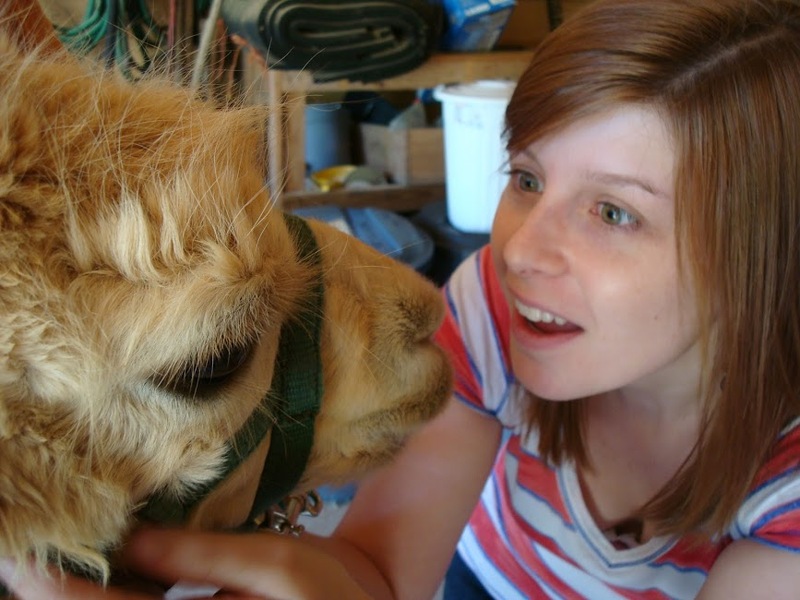 For context, this photo was taken the day Zach and I went went with some friends to help shear some alpacas. Admittedly an odd activity for people who don’t routinely engage in animal husbandry, but I had a grand time. I had never seen an alpaca before–interesting creatures, those guys. I was fascinated. Being so carefree and able to make fun wherever I found it is something I loved about myself. When Zach and I were weighing our options after receiving Owen’s tentative diagnosis, I remember thinking that if we chose to carry the pregnancy to term and he died, we would never be happy again. Aside from his death, that was my biggest fear. I was worried that I would lose the ability to be delighted. I thought life would become the period before Owen when we were able to laugh easily, and then the after-Owen time, when we would be over-burdened by death and missing him. If you had asked me if that fear came true a few months ago, I probably would have said yes. I’m not sure that’s the case now, fortunately. Returning to a joyful state is very much like waking up. I’m groggy and slow to find joy these days, but it’s there. I’m confident that I will fully reawaken someday.